This is one of Isaac's favourite games. 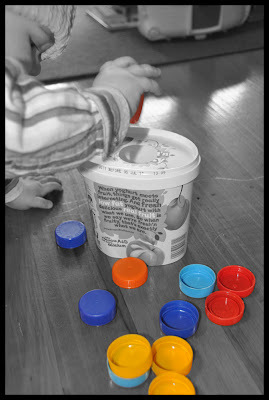 Put the milk bottle lids in the yoghurt container. It's a really cheap game! It's also very messy and he mostly likes to finish the game with the lids NOT in the yoghurt pottle.